I enjoy spending time outdoors. And since I really enjoy music, this means I want to bring my music with me. JBL is able to help with this need. I love how great products can get even better through future generations. Having previously reviewed the JBL Extreme, it was a no brainer to jump on the opportunity to review the new JBL Extreme 2. The JBL Extreme 2 came in a great looking color printed box with photos and specs of the product. Opening the box revealed a well protected product held in place by custom made foam. Materials used in the construction was mostly plastic with some cloth, rubber, and metal. Quality of materials used was excellent, as was the fit and finish. The JBL Extreme 2 is JBL’s flagship wireless speaker. The JBL Extreme 2 is definitely a flagship product and it showed. I love the design of the JBL Extreme 2. There’s stereo sound in tweeter and woofer, and a pair of passive radiators on each end to help drop the frequency response a bit and give a bit more bass output. There’s a built-in 10,000 mAH battery which not only powers it on the go, but can be accessed on the go to charge your smartphone. The cloth wrap gives it an elegant look. And I love the solid built-in metal loops for the shoulder strap to carry it around. If that wasn’t enough, JBL has also given the Extreme 2 some great functionality! You can connect up to 3 Bluetooth devices to access your music. So you as well as your family/friends can get your grove on. It works as a noise and echo canceling speakerphone. It can be linked to other JBL Connect supported speakers for whole house sound. There’s even voice integration for Siri or Google Now. And with it being IPX7 waterproof rating it’s ready for your outdoor adventures. Now let’s hear how it sounds! Katy Perry: Dark Horse, bass had nice depth, hit really clean and with impressive low end extension and played with good authority. Vocals were smooth with better than expected texture and harmonics. And when turning to Turbulence, this little speaker system gave out some serious turbulence of it’s own! This speaker rocks hard! My room was filled with bass. Being the holiday season, I also turned to some holiday music with Mannheim Steamroller: God Rest Ye Merry Gentleman. Percussion was really crisp and clean with the cymbals and nice kick and pitch definition of the kick drums in the midbass and bass. Brass was pleasantly smooth without being too brassy. Piano sounded more natural than expected. Bluetooth performance was also exceptional. I walked all over our building, going around 50 feet away and through several walls, and not a drop in signal. To really put it to the test, I had to take it outside, and walking 100 feet away, still no drop in signal. The JBL Extreme 2 definitely has a good quality Bluetooth radio. And when a call came in, it seamlessly switched over to speakerphone. The call quality was very good there as well on both ends of the call. When the call ended, the music came back on. JBL has really winner in the JBL Extreme 2. The sound was excellent for a wireless speaker with crisp and clean highs, smooth mids, and full bass with very good resolution. And I can’t see where anyone will need more range of the Bluetooth then what we saw. Build quality is also excellent. With an MSRP of $299, the JBL Extreme 2 is also fairly priced for what you get. 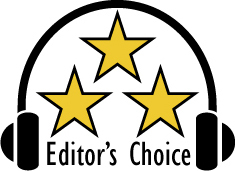 Based on it’s design, features, quality and performance the JBL has earned our Editor’s Choice award. As a holiday present it would bring a huge smile on anyone’s face. For more info and complete specs, check out their website at www.JBL.com.